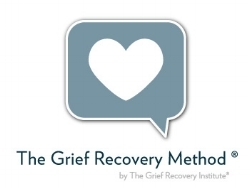 Can I Benefit From The Grief Recovery Method®? This time-proven method is based in part on helping grievers create a new level of awareness. Part of that is helping you to better understand all of the different life experiences that produce grief. The Grief Recovery Method® was founded by John W. James and Russell Friedman and has been serving grievers for over the past 30 years. For more information regarding the services provided by The Grief Recovery Institute® click on the link below or go to www.griefrecoverymethod.com.